The 14 bolt axle isn’t compatible with the e-brake on the vehicle it’s going on. 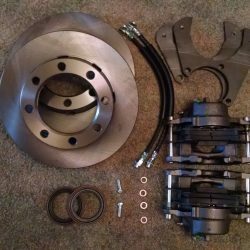 The swapper is upgrading to disc brakes on their 14 bolt axle, and most disc brake conversion kits aren’t compatible with e-brakes. 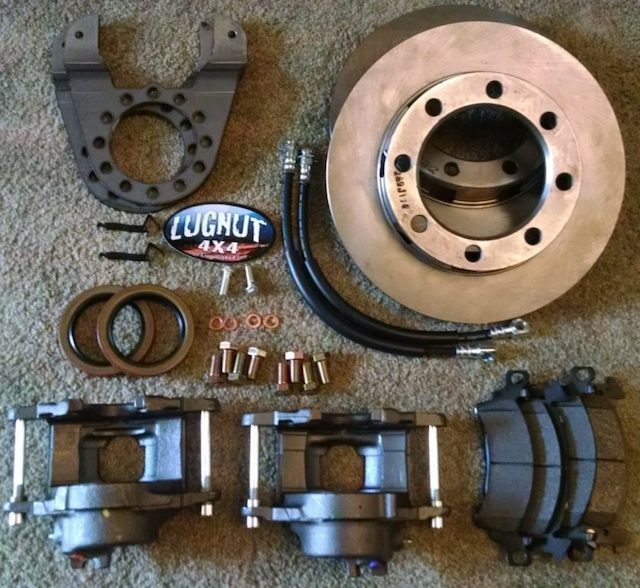 The good news is you don’t necessarily have to lose your e-brake if you want a 14 bolt axle on your truck. 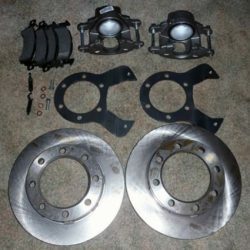 In this article, we’ll show you how to keep your emergency brake while swapping to a 14 bolt axle and/or upgrading to disc brakes. 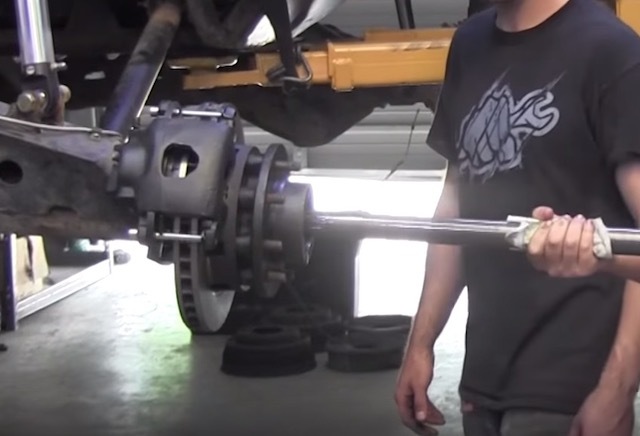 First, let’s talk about why a 14 bolt axle is a great upgrade for off-road trucks. It’s because the 14 bolt is super strong and relatively easy to source (as lots of them are in junkyards). There were so many of them made that they are cheap to buy. Also, 14 bolt axles have a lot of parts that are easy to upgrade and customize. When you’re building your truck, the 14 bolt axle offers a lot of choices. There are many gearing and locker options available. It’s also easy to upgrade the axle to disc brakes. Compared to most, if not all, axles out there, the 14 bolt axle delivers a lot of bang for the buck. It’s no wonder a lot of off-road enthusiasts make a point to switch to a 14 bolt axle when building their rig. 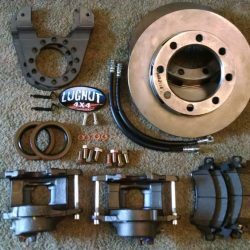 If you need any help finding the right disc brake conversion kit, emergency brake calipers, or hardware, you’re welcome to reach out to us. We’re happy to lend a hand.